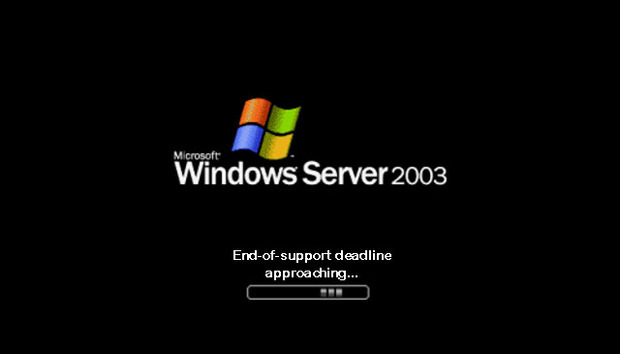 Despite the looming Windows Server 2003 end-of-support deadline of July 2015, estimates suggest that 10 to 20 million servers worldwide are still running Windows 2003. You may argue that this is no surprise; Windows 2003 is, after all, a great operating system. However, for those who remain on Windows Server 2003 past the deadline there are implications: Microsoft will no longer send patches to protect servers from emerging cyber threats, opening businesses up to viruses and hackers. Then there’s the fact that new hardware and applications will no longer be compatible with the dying operating system. One way or another, businesses will eventually need to migrate and it’s safer and more cost effective to do so sooner rather than later. 1. “We don’t have enough time left to complete the migration before the support cut-off deadline.” Migration typically takes between 100 and 300 days, depending on the size of company and the number of servers that need to be migrated, so as of today, you may still have time to migrate. If you absolutely cannot migrate now, you can still do so after the support deadline has passed. Remember, however, that it will be more expensive further down the line, with the cost of “custom” support from Microsoft set to double in the first year following the end-of-support deadline, and to triple in the second year. You can help to ensure fast and efficient migration by selecting an industry-leading service provider who can offer a tailored, end-to-end service that is right for your organisation. 2. “We don’t have enough staff or budget resources.” It’s better to migrate sooner rather than later to avoid mounting costs and security risks; think of it as a long term business investment that will help you ensure efficiency and data safety further down the line. As well as ensuring smooth migration, by selecting the right services provider, your team will be bolstered, making the whole process easier. 3. “We need to consider all of the options before migration, such as virtualisation and cloud technology.” With such a big investment, both in terms of time and cost, it’s best to consider all of your options carefully thinking about your long term plans and IT strategy. No single solution will address all scenarios and you may want to use a combined solution. The best approach is to run an analysis of your systems and servers to establish your requirements and therefore which option is right for your business. 4. “We have too many applications on old servers/we are still using old applications which won’t be supported on newer operating systems/we are using custom applications written by employees who have since left our business.” You will need to run a full inventory to examine the compatibility of each legacy application and identify the remediation necessary. One way or another, eventually you will need to use newer applications and in future, these may not be compatible with old operating systems such as Windows Server 2003. Is cloud the right approach for legacy applications? Does the right solution include application rationalisation and hardware refresh? Experienced service providers can provide that transformational blueprint that is right each organisation. This may be the case, but your migration services provider should be able to advise you about a solution to fit your needs. You may find that it’s time for a hardware upgrade as well; modernising legacy systems can make your application environments more efficient, responsive and competitive. In addition, moving from proprietary systems onto standards-based platforms can eliminate the need to be locked in to a single vendor, therefore better equipping your IT ecosystem for cost effective growth and scale-out potential. One way or another, organisations need to migrate to keep applications up to date and to be able to take advantage of the benefits provided by modern hardware and a new operating system. With that in mind, it makes much better sense to migrate sooner rather than later to avoid mounting costs and security risks. Without a doubt, migration is a substantial investment, so it’s worthwhile taking the time to get it right. By selecting the right migration services provider, not only can you ensure that migration is as painless and straightforward as possible, but you will also receive the support you need to make the best decisions for your business.